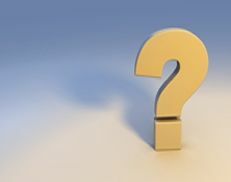 Through our FAQ page, you will find answers to frequently asked questions about online PDH and CEU credits or courses, by engineers seeking to satisfy their continuing education requirements. If you have any additonal questions about our online PDH and CEU courses, please contact us at info@cedengineering.com. What credentials do I need to qualify as a CEDengineering.com course provider? Are there any costs that I have to bear by publishing a course on www.CEDengineerng.com? Are there any course preparation guidelines that I should follow? Yes. Please click on provide a course then click on “Course Preparation Guidelines” and follow the instructions. How do I earn royalties by becoming a CEDengineerng.com course provider? You will earn a percentage of the course purchase price each time your course is purchased. Each time your course is purchased, you will receive an automated email notification instantly. You may also track your overall earnings from your account. For more information, please click on provide a course. What documentation will CED provide me with as a proof for completing my course? As a proof of completing your course, CED will provide you with a “Certificate of Completion”. Do I submit the “Certificate of Completion” to my State Licensing Board? Does CED maintain records of my course activities? Yes. It is the policy of CED to maintain your records for a 10-year period which exceeds the requirements of any State Licensing Board. However, you are ultimately responsible for tracking and maintaining all your course activity records for all states mandating continuing education PDH requirements. Therefore, we highly recommend that you print the “Certificate of Completion”, prepare a PDH Activity Log and save both documents for your records. Does CED submit my course activities to my State Licensing Board? No. You are ultimately responsible for submitting all you course activity records required by your State Licensing Board. The Certificate of Completion we provide you includes your name, the name of the course you successfully completed, the date you completed the course, the sponsoring organization, and the PDH credits earned. For more information, please click on state requirements. $49.50 per one PDH credit earned for live webinars. However, discount rates are available depending on the discount type applied. What type of discounts does CED offer? What payment options does CED accept? Note: If you pay by credit card, you can print your “Certificate of Completion” instantly upon passing the quiz. Whereas if you pay by check, you can print your “Certificate of Completion” after we receive your payment by mail. Stony Point, New York, 10980. How does CED secure my online payment? CED uses PayPal and Starfield Technology to process your online credit card payment. PayPal uses the industry-standard Secure Socket Layer (SSL) issued by Starfield Technology to encrypt the information you provide us when you subscribe online. PayPal receives this information as a scrambled code, and then decrypts it on their secure servers. Therefore, your credit card information cannot be read in transit as it is secured with PayPal and Starfield Technology. If your transaction did not go through, please verify that the information you entered is correct, or contact your credit card banking institution. If the problem persists, please contact us at info@cedengineering.com. How do I obtain a receipt for my course payment? Download the receipt instantly from the purchase confirmation page upon completing your payment. Download the receipt from the email notification sent to you confirming your successful course purchase. Access your account at any time and download the receipt of course purchase in question. For more information, please contact us at info@cedengineering.com. Do I have to login to browse the CEDengineering.com website? Would I be able to edit my account information? Yes. Just log in to your account and click on “Edit Profile”. Simply log in to your account and click on “Forgot my Password” to retrieve it. If you are still unable to retrieve it, please contact us at info@cedengineering.com. How does CED process my personal information that I provide? Does CED share my personal information with third parties? CEU stands for Continuing Education Unit which is a conventional form of measure for continuing educational programs. PDH stands for Professional Development Hour and is defined as one contact hour (minimum of 50 minutes) of instruction, presentation or study. What is the relationship between a CEU and a PDH? How do I know if my State Licensing Board mandates continuing education requirements? Currently there are 42 states that mandate continuing education requirements. To check if your State Licensing Board is one of the 42 states, please click on state requirements. How many online continuing education credits can I take each renewal period? To find out about the limit of online credits (or any other specific information about your continuing education competency program), click on your state of licensure under state requirements. What are the criteria for CEDengineering.com courses to be accepted by my State Licensing Board? Then courses taken through CEDengineering.com will be automatically accepted by these State Licensing Boards as we are already a Board Approved Sponsor for continuing education in those states. A course or activity whose purpose and objective are clear with a content that will maintain, improve or expand the skills and knowledge of the licensee’s field of practice” as recommended in the NCEES CPC Guidelines. The completion of the course can be independently verified by taking a quiz and grading it with the results being maintained by the course provider for a specific period of time. Since CEDengineering.com courses are prepared in compliance with all state board requirements and in accordance with the NCEES CPC Guidelines, they are accepted by all other State Licensing Boards. Furthermore, our courses are supplemented with a professional quiz process intended to evaluate the engineer’s effort to strengthen and maintain competency in the technical, managerial, or ethical fields. What’s the procedure for taking an online course through CEDengineering.com? Browse our course listings through the left navigational column. Select and add your courses of ineterest to the shopping cart and complete the payment process. Is there a time limit for the course and the quiz? No. You may take as much time as you need to review the course and complete the quiz. You can save your quiz answers at any point and return to the quiz at any time. What happens if I don’t achieve the passing grade of 70%? If you don’t complete the quiz on the first attempt, you may retake it as many times as necessary in order to pass at no additional cost. How do I retake the quiz at a later date? If you decide to return later and retake the quiz, simply log in to your account and retake the quiz for the course in question. Can I purchase the same course I took previously? Yes. You can purchase the same course your previously purchased provided that one year has elapsed from the date of your last purchase. For more information, please click on how it works. Why am I unable to log in on www.CEDengineering.com? Please verify your User ID (email address) and Password and login again. Make sure that you turn off the “All Caps” button as they are case-sensitive. If you are unable to login, click on “Forgot your Password”, and we will send you your login information. If you still can’t login, you may need to adjust your web browser cookies. Please read this article to understand how you can enable cookies on all browsers. Why am I unable to access your PDF files? You need to have Adobe Acrobat Reader installed to view and print PDF files. Please click on the icon below to download the latest free version of the Adobe Acrobat Reader. Why am I unable to take the quiz after completing the payment process? Once you successfully complete your payment, click on "Take Quiz" from your account in order to proceed with the quiz. Why am I unable to view or access the “Receipt of Course Purchase” or the “Certificate of Completion” after completing the quiz? This is most probably becuase you have elected to pay by check or money order and we have not received either one yet. Once received, we will email you both documents. You can also log in to your account at any time and downloading your “Receipt of Course Purchase” and “Certificate of Completion”. Why am I unable to find my completed course records in my account? This is most probably because you have more than one account with us due to a change in your email address. You may elect to use your multiple accounts to access your records; however, we recommend that you notify us to combine your accounts into one by providing us with your old and new email addresses. For additional technical support, please contact us at info@cedengineering.com.